On the last day of the 2015/16 Serie A season, Gonzalo Higuaín collected a ball on his chest just inside the Frosinone box with his back to goal, swivelled, and struck a sumptuous, acrobatic volley past a bewildered Massimo Zappino. It was a goal indicative of the Argentine’s stellar season with Napoli where nearly everything he touched in the opposition box resulted in a goal. Yet, for Higuaín, it wasn’t just a goal of extraordinary ingenuity. For as soon as the ball crossed the Frosinone goal line and rippled the net, a record that had stood since 1929 was equalled. Higuaín became the first footballer since 1929 to score 36 goals in a single Serie A season, and in doing so ensured his name would be enshrined in the annals of calcio history forever. Adored – albeit now loathed in equal measure – by the Gli Azzurri faithful, Higuaín’s tenure in Serie A extended what has been an enduring and passionate love affair between Italian football and Argentine strikers that spans over half a century. Of all the recipients of the Capocannoniere since the award was first bestowed in 1923, no country outside of Italy itself has produced more winners than Argentina. What has burgeoned from a statistical anomaly to a full-blown obsession, Italy has welcomed and embraced every Argentine striker with a proclivity for finding the net. It has become an incomparable marriage of two continents. Italy and Serie A, the league that dominated the 1990s, producing more Ballon d’Or winners than any other; and Argentina, cultivators of the finest forwards in football history – from Maradona to Batistuta. Italy’s relationship with South American forwards began modestly; the archives of post-war Italy are sprinkled sparingly with Argentine seasoning, from Antonio Valentin Angelillo to Paolo Manfredini. Both would capture the Capocannoniere. But it wasn’t until 1984 that the merging of these two great footballing nations began to enter the realms of romanticism when Diego Maradona joined Napoli from Barcelona. At the time, Serie A was a league dominated by the north: in the previous 15 seasons, Milan, Juventus and Inter had won the Scudetto 12 times, while Lazio and Roma had claimed a title apiece. Maradona’s arrival interrupted this period of dominance as Napoli blossomed from mid-table chancers into regular title-chasers. The fans – as boisterous and vociferous a base as any throughout the vocal ultra scene of Italy – duly anointed him their footballing deity. For seven glorious seasons, forgotten Napoli – eschewed by top players for years in favour of the wealth that could be gleaned further north – could lay claim to possessing the best footballer in the world. Kindled in Naples, the burning love between Italians and Argentine forwards began to engulf the peninsula. In the years that followed, more and more of them would traverse the Atlantic to feed Italian football’s insatiable appetite. Throughout the 90s, clubs like Fiorentina, Parma, Roma and Udinese would mine the veins of Buenos Aries, Rosario and La Plata for the latest gems to cut and polish. As such, Serie A glittered with their labours. As Maradona’s career in Napoli was winding down at the beginning of the decade and the dominance of Milan and Juventus came to be re-established as a consequence, it was lowly Udinese who would pluck an Argentine from obscurity and propel him into the limelight of Europe’s most exciting league. That man was Abel Balbo. The hard-working striker had a keen eye for goal and, despite a slow start that saw Udinese relegated in his maiden season, he returned to Serie A with immediate effect. In the 1992/93 season, Balbo established himself as one of Italy’s top forwards, registering 21 goals and finishing second in the Capocanniere, and from there joined Roma where he developed into something of an uncomplicated, consistent goalscorer. He’d go on to record 117 Serie A goals in 12 seasons for Udinese, Roma, Fiorentina and Parma. While his mark upon Serie A was not as great as some of those who succeeded him, it was indelible; even 20 years later, i Giallorossi fans recall him with gleamy-eyed fondness. But Italy’s desire was only increasing. Argentina’s Primera División was a conveyor belt of talent, and for many players, the lure of Europe was too great. Following in Balbo’s footsteps came Gabriel Batistuta. Arguably the finest centre-forward of his time, he arrived in Italy a gangly youth who had struggled for goals in his native Argentina and who had only appeared on European radars after a blistering showing in La Albiceste’s 1991 Copa América triumph. Sticking to the script which seemed to dictate that Argentine forwards were duty-bound to join unfashionable teams at the time, Batistuta did what Balbo and Maradona had done before him and shunned the likes of Milan, Juventus and Inter. Instead, he made Florence his home. 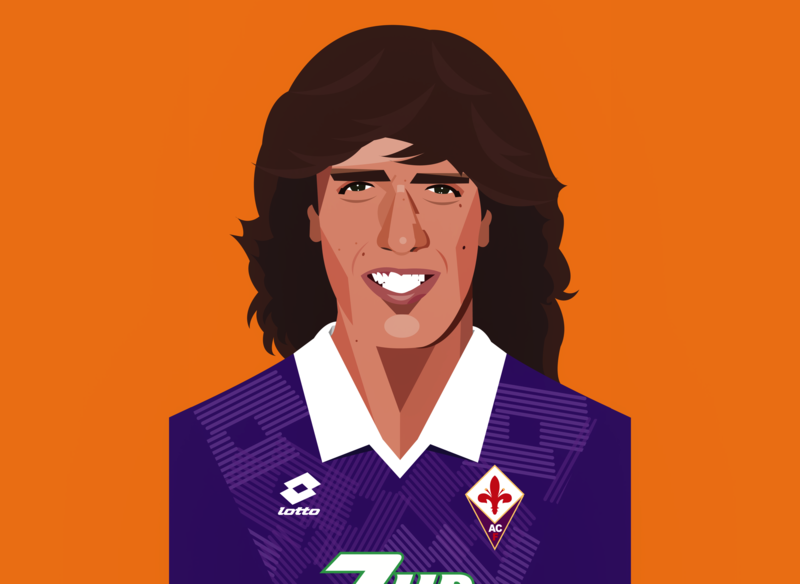 Perennial underachievers, Fiorentina’s fortunes were expected to take an upturn with the addition of their latest striker, but they were instead relegated in Batistuta’s second season, despite his excellent form. Expecting to lose their main man for their campaign in Serie B, La Viola faithful were elated to discover Batistuta would accompany them into the lower divisions and, with his 16 goals, they were promptly promoted back to Serie A. Over the next few years, adoration blossomed into idolatry. Batistuta would capture the hearts of Florentines like no other player had. Forming a potent partnership with Portuguese playmaker Rui Costa, “Batigol” would lead Fiorentina to Coppa Italia and Supercoppa glory, as well as spearheading a charge into Europe with memorable goals against English heavyweights Manchester United and Arsenal. Intelligent, powerful and a superb finisher, Batistuta defined the way great strikers score goals; no angle was too ludicrous, no distance too great, no situation too impossible. Even the arrival of Ronaldo in Serie A could not shake Fiorentina fans’ conviction that they had the deadliest striker in the world. And with good reason: in nine seasons, Batigol would plunder 207 goals and assume the mantle of Fiorentina’s greatest ever player. In 2014, the unveiling of a statue of the Argentine hotshot outside the Artemio Franchi would bring Batistuta himself to tears. As Batistuta was running riot in Serie A, embarrassing the likes of Baresi, Maldini, Nesta and Cannavaro on a weekly basis, Parma stole a march on their rivals by importing the next Batistuta-in-waiting, Hernán Crespo. In a similar vein to Batigol, Crespo made the move to Europe despite a meagre goal return in his native Argentina. Instead, it was an excellent display at the 1996 Summer Olympics, in which Crespo grabbed six goals en route to a silver medal, that persuaded Parma to make their move. It was August 1996, and Parma were riding the crest of a tremendous wave of success that would see them become synonymous with the golden era of Serie A. Carlo Ancelotti reshaped the Parma front line with the acquisitions of Enrico Chiesa and Crespo – the latter of whom was the latest in a spate of transatlantic signings. A slow start during which he remained goalless for 12 games didn’t deter Crespo; Ancelotti kept faith and the Argentine eventually returned 12 goals from 27 games. Over the next few years, Crespo grew in confidence, but would fail to match the goalscoring exploits of his illustrious compatriot Batistuta. 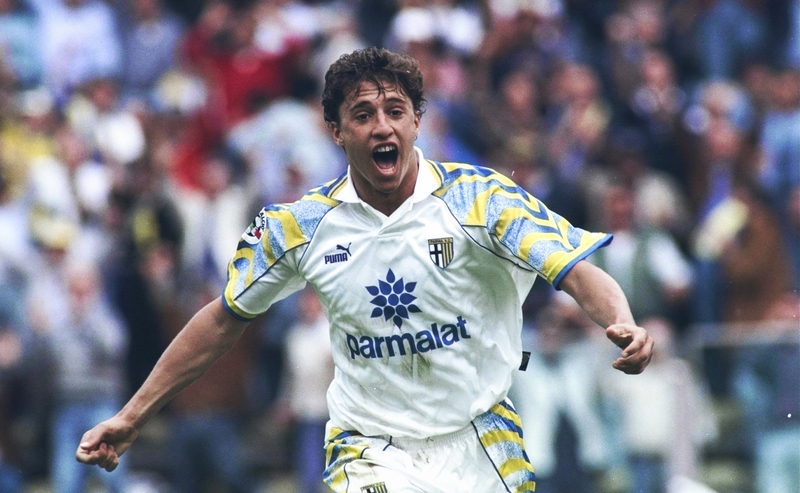 That being said, Crespo was fast endearing himself to the i Crociati faithful as he led the line in a Parma side that would become the most successful in the club’s history. Crespo’s 30 goals in all competitions ensured a domestic and European cup double in 1998/99. After 80 goals in four seasons, Crespo made a £35m move to Lazio in 2000, becoming the most expensive footballer in the world in the process. A return of 26 goals was not enough to help Lazio retain the title, as Roma claimed their third Scudetto thanks in no small part to the acquisition of Fiorentina hero, Batistuta. Crespo would see out another year in the capital before heading north to Inter, where a disappointing season in Milan was not enough to deter Chelsea from convincing him to make the move to England. With Crespo and Batistuta successful in forging near-mythical legacies in Serie A, Italian clubs in the noughties were intent on unearthing the next South American superstar, and it was Bologna who came closest. Julio Cruz was never a prolific goalscorer in the ilk of Batistuta, Crespo and Balbo, but when he made the move from Bologna to Inter in 2003, few could predict the incredible riches he would reap during his six-year spell. Content to play second fiddle to the likes of Christian Vieri, Adriano and Zlatan Ibrahimović, Cruz made up for his lack of athleticism and movement in the box with his intelligent and cultured play. He’d go on to win four Scudettos, two Coppa Italias and three Supercoppas, making him the most successful Argentine striker in Serie A history. By the time the turn of the decade came around, Italy’s obsession with Argentine strikers had waned; the Batistutas and Crespos were relics of the past, and it was homegrown products like Antonio Di Natale who had matured into world-class footballers, leading the assault upon the Capocannoniere. Then, along came José Mourinho who would elevate Diego Milito to European glory. After putting in the hard yards with Genoa in Italy and Zaragoza in Spain, Milito had established himself as a prolific if athletically-limited striker. Where Batistuta and Crespo were fast, strong and lethal, Milito was far more subtle in his design; his clever movement, endeavour and sharp finishing inside the 18-yard box endeared him to Mourinho who, despite the arrival of Samuel Eto’o, made Milito his main man during their unstoppable march to the treble in 2009/10. Criminally underrated during his prime, Milito was integral to Internazionale’s most famous achievement. To Nerazzurri fans, Milito represented economy and diligence – and, crucially, success. Though he never clinched the Capocannoiere a la Batistuta and Crespo, Milito opened the door once more to the hearts of Italian football fans. The love of Argentine forwards was rekindled, though like Milito’s reception it was still lukewarm, but in 2013 it was reignited when two huge names arrived on the shores of Serie A: Carlos Tevez and Gonzalo Higuain. 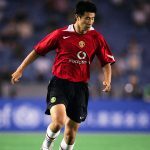 The former, notoriously flighty, was hardly expected to stay for long, but his brief tenure coincided unsurprisingly with Juventus’ long-awaited return to the summit of Italian football following the Calciopoli scandal that had seem them banished to the wilderness of Serie B years prior. In the two seasons before Tevez’s arrival, Juventus had won the Scudetto by four points and nine points respectively; in the Argentine’s first season, they romped to the title by 17 points. They repeated the feat in his second season as Tevez registered 20 league goals – and the Old Lady finally had their heir to Alessandro Del Piero. With 50 goals across two seasons, Tevez departed Turin, his brief yet glorious legacy seared into the minds of all who had witnessed the sheer galvanising effect he had on a side striving to ascend to the very highest echelons of European football. At the other end of the country, Napoli fans were proselytising about their latest Argentine hero, Gonzalo Higuaín, whose goals helped them breach the top three in Serie A, as wilfully filled the void left by Edinson Cavani. While Higuaín and Tevez have since left Italy, this time, the fascination with Argentine forwards has not died with their departures. Mauro Icardi, Paulo Dybala, Giovanni Simeone and Lautaro Martínez all ply their trade in Serie A for the likes of Inter, Juventus and Fiorentina – clubs intrinsically linked with the Argentine stars of days gone by. Though Simeone and Martinez’s fledgeling careers in calcio are only just beginning, the likes of Batistuta and Crespo are mentioned in awed tones. Upon arriving in Florence, Simeone told journalists his father, Diego, had “wished he could have been like him [Batistuta] for just one day.” Similarly, Crespo has already likened Martínez to Manchester City forward, Sergio Agüero, and expects big things of him in the future. Perhaps the glory days of the 90s, during which time Serie A was exported as a global product and where Italian football sides dominated European competition, are unlikely to be repeated, the love affair between Italians and Argentine strikers refuses to die. There is something inherent to Italian football that seems to coax the best out of these South American strikers; a way by which they endear themselves to the most ardent of ultras, who venerate them above even their own, dearest Italian heroes. Napoli’s number 10 shirt is still retired in honour of Maradona; Batistuta was inducted into the Fiorentina hall of fame; Crespo is still the poster-boy for Parma’s incredible 90s success; Tevez was the man who dragged Juventus to their first Champions League final in a decade. 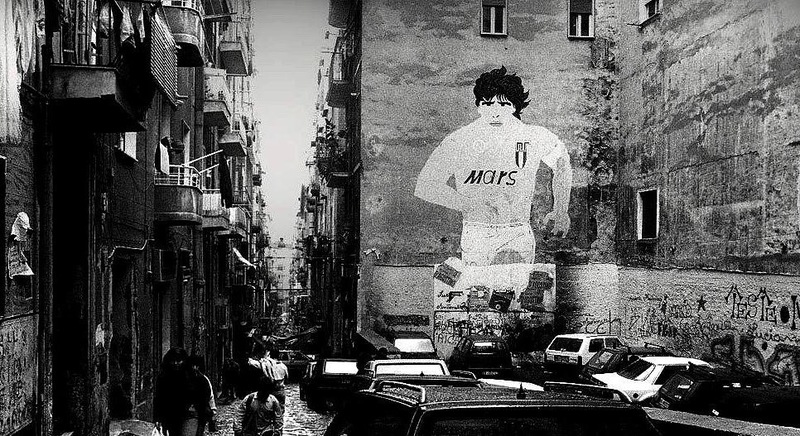 Though they may have gone, their calcio legacies live on.